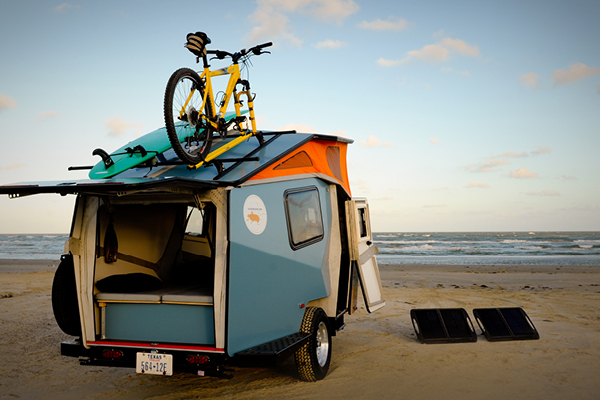 Houston, Texas based Cricket Trailer will be featured on The Travel Channel’s Extreme RVs program Sunday night, January 29, 9pm ET and again at Monday, 12am ET on January 30. 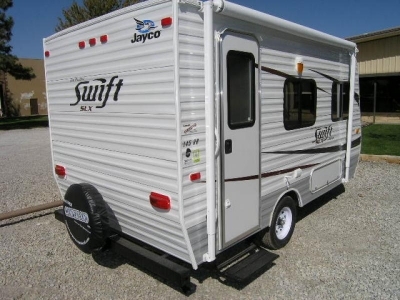 The Cricket, with its unique shape made of aluminum composite sidewalls and pop-up roof, checks in with a base weight at 1300 lbs. 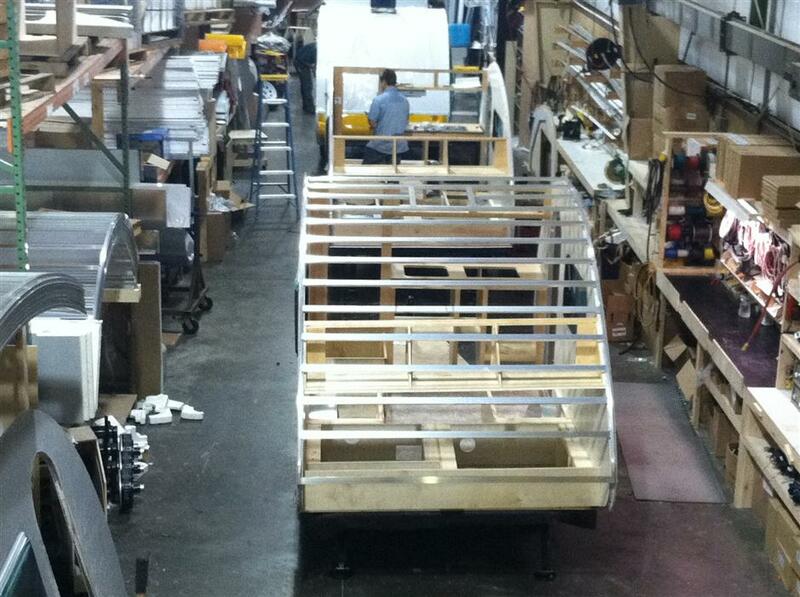 It’s also framed in aluminum, adding to its light weight feature. 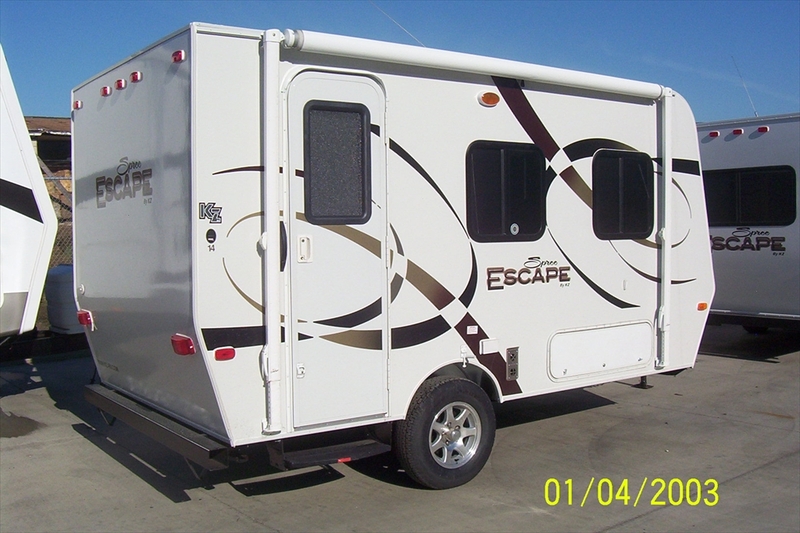 Exterior length is 15′ and has a generous 6’2″ interior head room when the roof is extended. 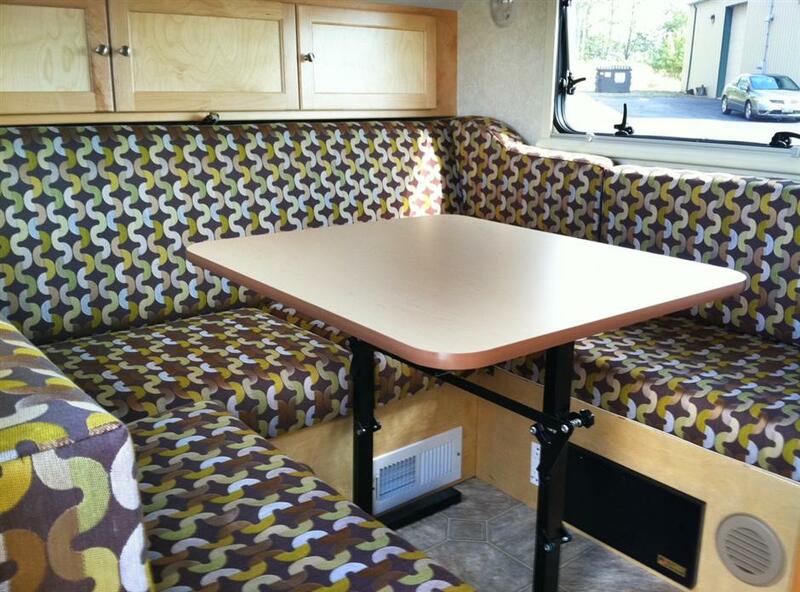 This environmentally friendly camper is engineered with state of the art materials and geared for the rugged outdoors. 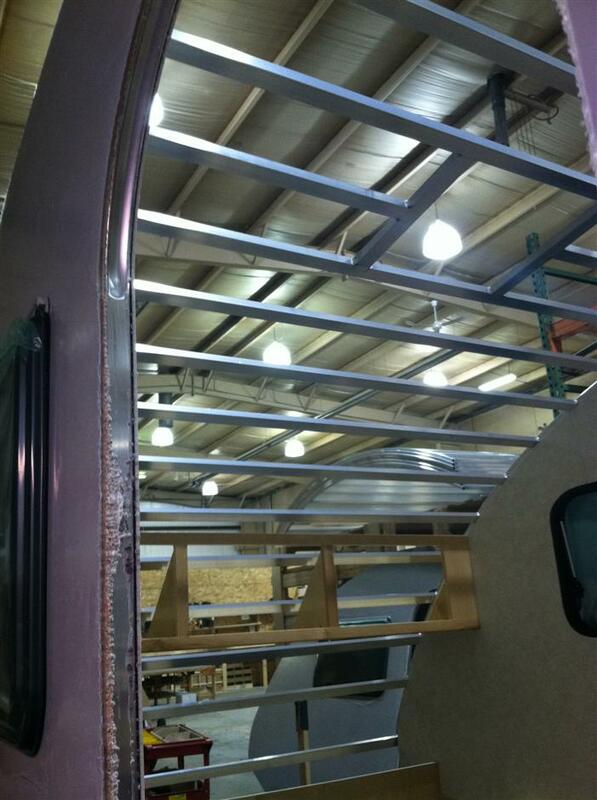 The two floor plans offered utilize every inch of space available in creative ways. 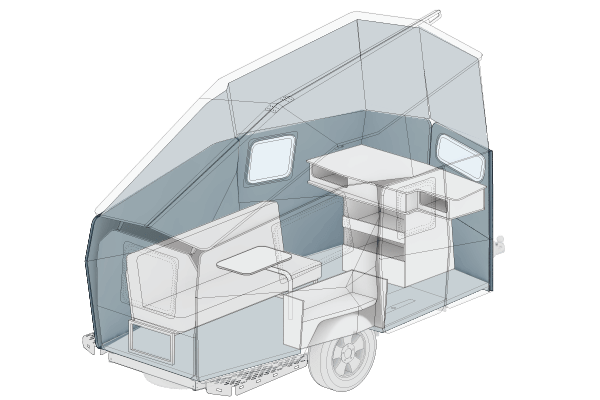 The Cricket offers a slew of options to make it a quite versatile unit, including A/C, a tankless on-demand water heater, solar panels, roof racks, and more. One interesting option is what’s called the “Kids Attic”, which amounts to a hanging cot for a person weighing 135 lbs or less. Should be interesting to watch & learn more about the Cricket. Until the show airs Sunday night, here’s a sneak peak at the Cricket. 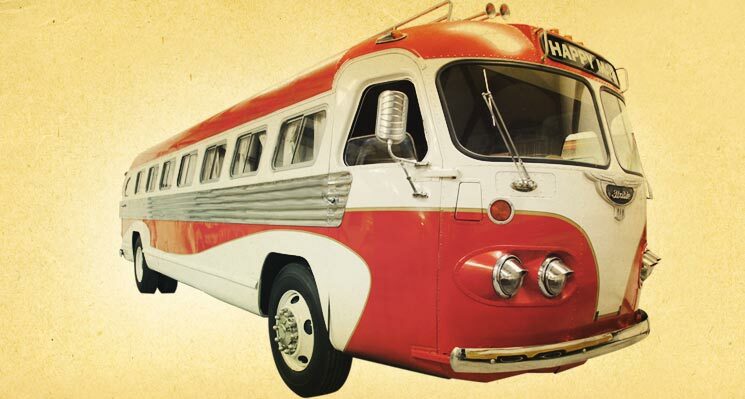 Amarillo, Texas RV dealer Jack Sisemore Traveland recently opened a 7,000 square foot museum to house fifteen classic travel trailers and motor homes they’ve restored and collected over the past 25 years. 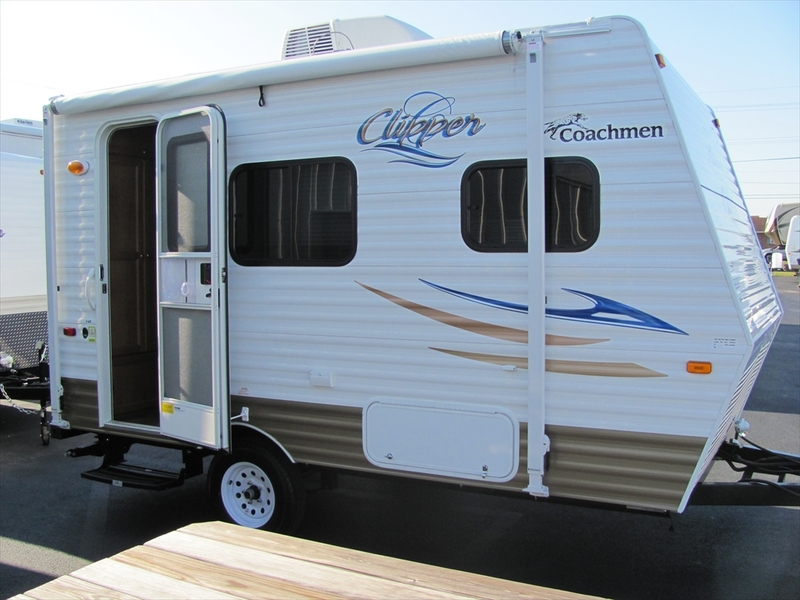 Several of the RVs on display have some sort of historic significance, including the 1948 Flxible Clipper driven by actor Jeff Daniels in the 2006 movie RV. 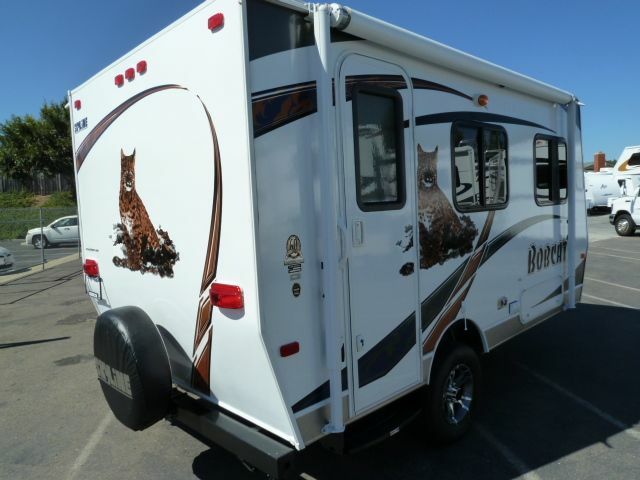 Others include the very first Itasca motor home ever built and the oldest Fleetwood travel trailer known to exist. 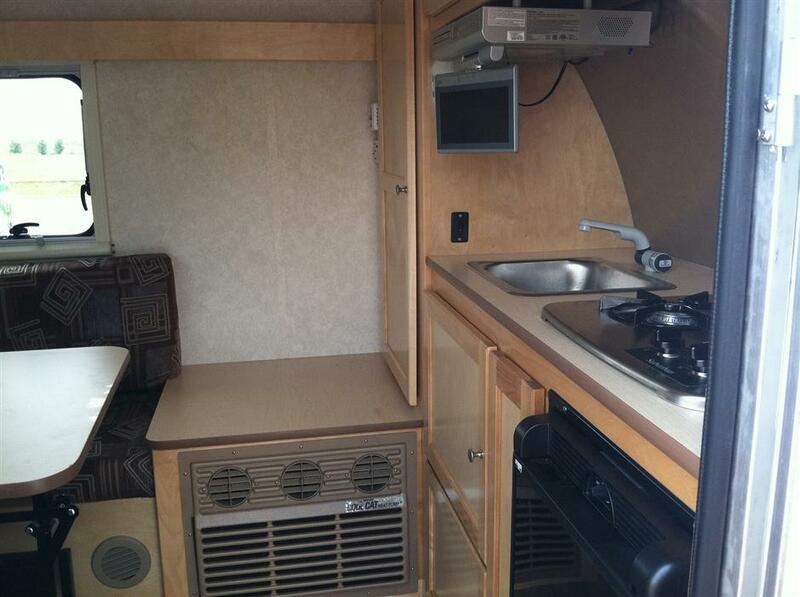 There’s a nice range of RVs here, ranging from a 1946 Kit teardrop to a 1974 Winnebago. 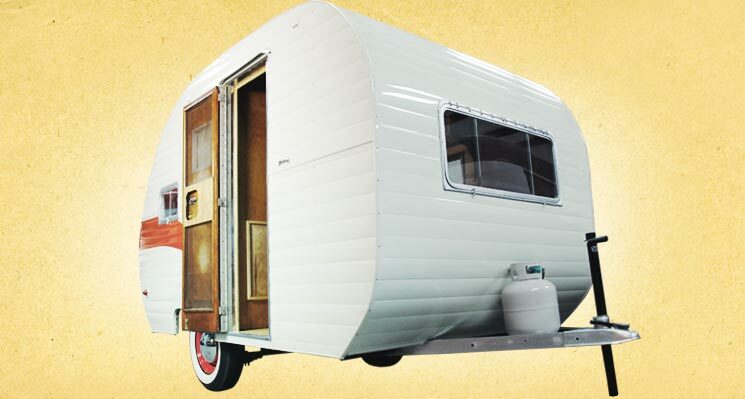 All told, the museum consists of trailers and motor homes from the 1930’s through the 1970’s. According to the Amarillo Globe-News, the museum welcomed over 400 visitors in just the first week. Admission to the museum is free, and is located on the grounds of Jack Sisemore Traveland, 4341 Canyon Drive, Amarillo, TX, which is about 3 miles south of Route 66 (6th Ave.) near the Georgia Street/I-27 interchange. Hours are Monday-Saturday, 9am-5pm. 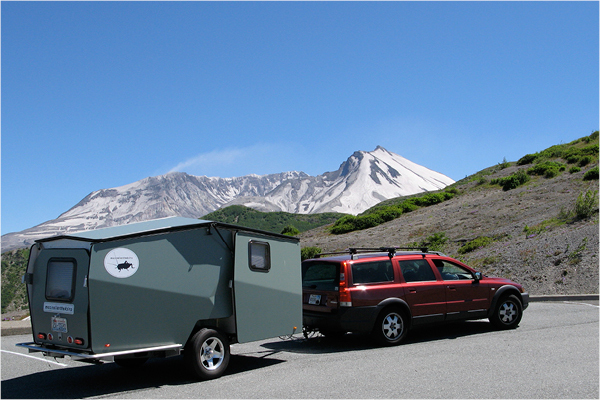 In a letter sent to supporters of the upstart Teal Camper, Teal International President Larry Drake is asking for financial partners to help move the concept forward. Due mainly to a tight manufacturing environment where manufacturers are unwilling to invest in small, start-up businesses, Drake finds his vision of a modular travel trailer at a crossroads and a shaky future. 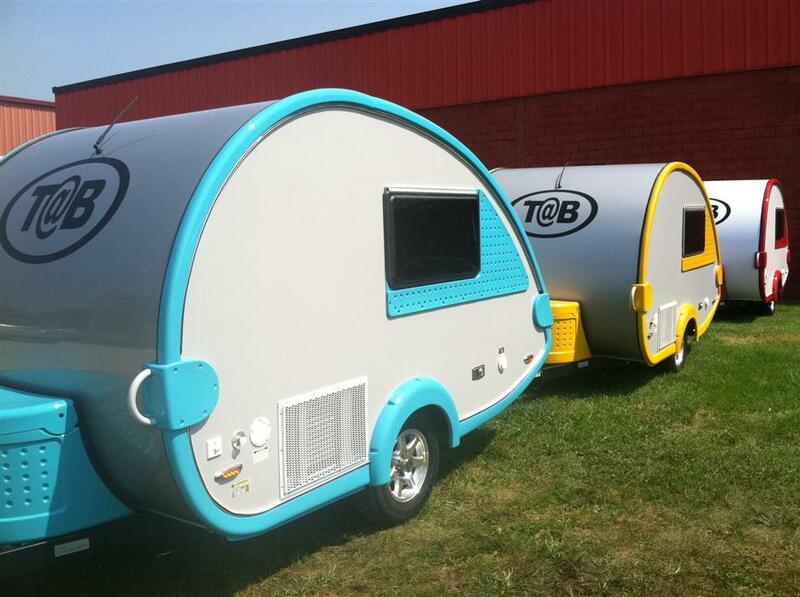 Although the future of the Teal Camper is uncertain, interest from the public remains strong. Regardless, for the project to survive, Drake needs more investors and visionaries to move the project forward. If interested, you can contact Drake via e-mail at ldrake@tealinternational.com. 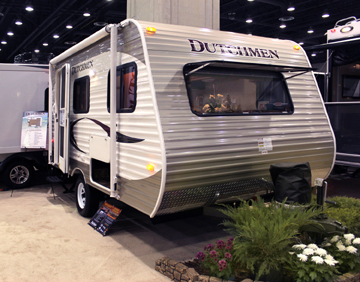 This past weekend we took the opportunity to attend the 44th Annual Indy RV Expo at the Indiana State Fairgrounds in Indianapolis. 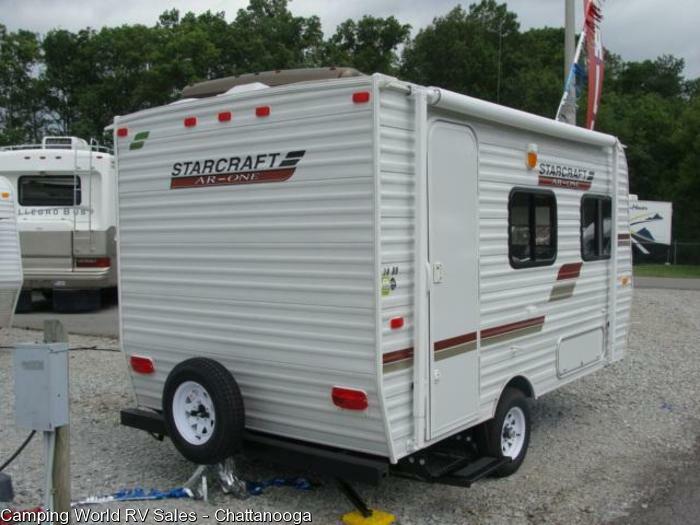 We’re happy with the trailer we have, but we still like hitting as many shows as we can to see what new trailers are on the market. 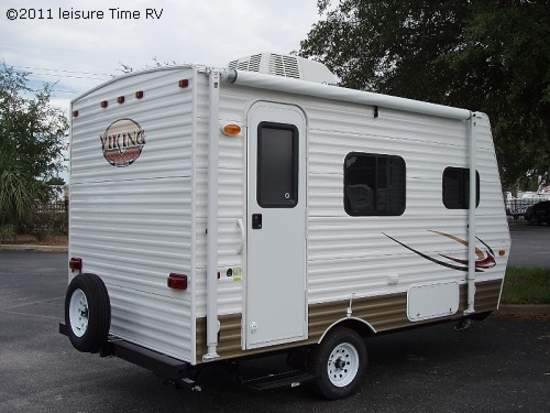 Then there’s also the fun of looking for our retirement rig, although retirement’s another 10-12 years down the road. 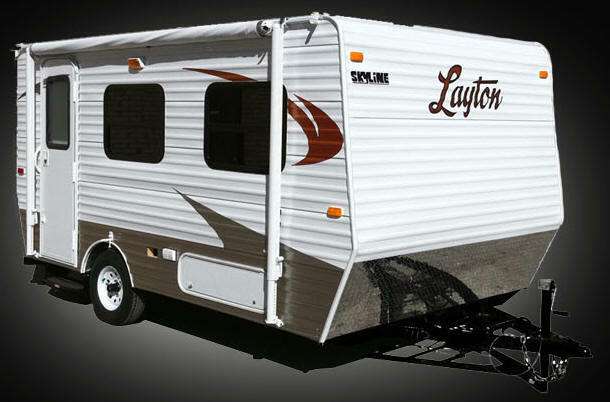 Nevertheless, between now & then I’m still going to keep tabs on the offerings of our motorhome manufacturer of choice. 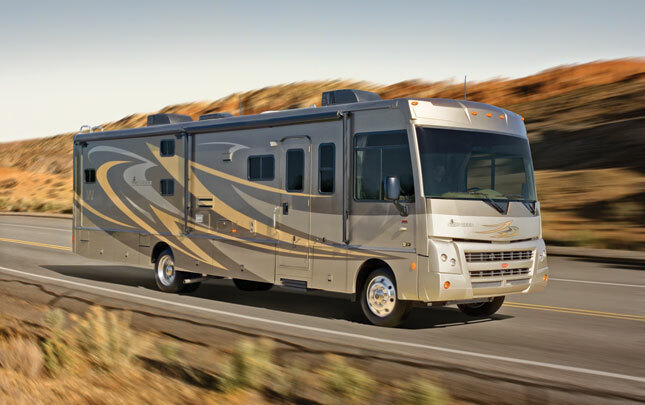 The show in Indy featured seven central Indiana RV dealers, each showing a plethora of travel trailers, 5th wheels, and motorhomes. 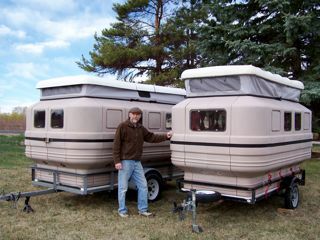 These shows typically focus on behemoth towables, and this show didn’t “disappoint” in that regard, as there was very little there for fellow small trailer devotees. 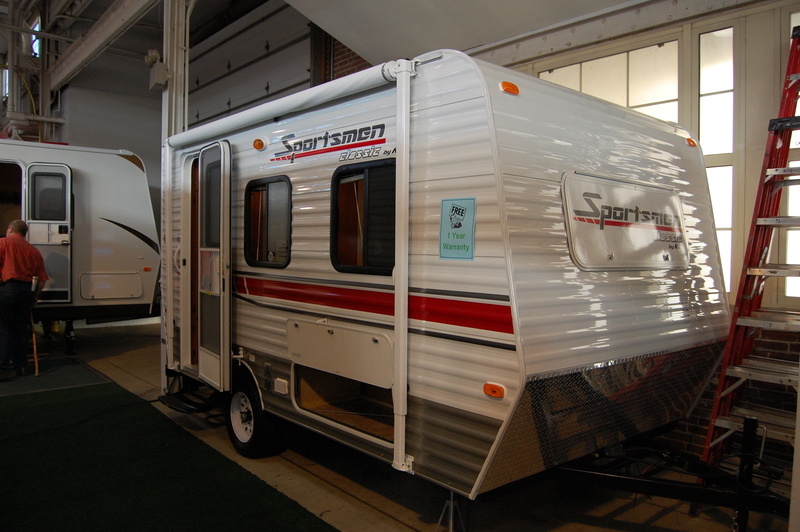 However, if you’re a lover of the venerable 14′ floor plan, there were three manufacturers that had their 14 footers on display. There was a new unit on hand that did catch my eye. 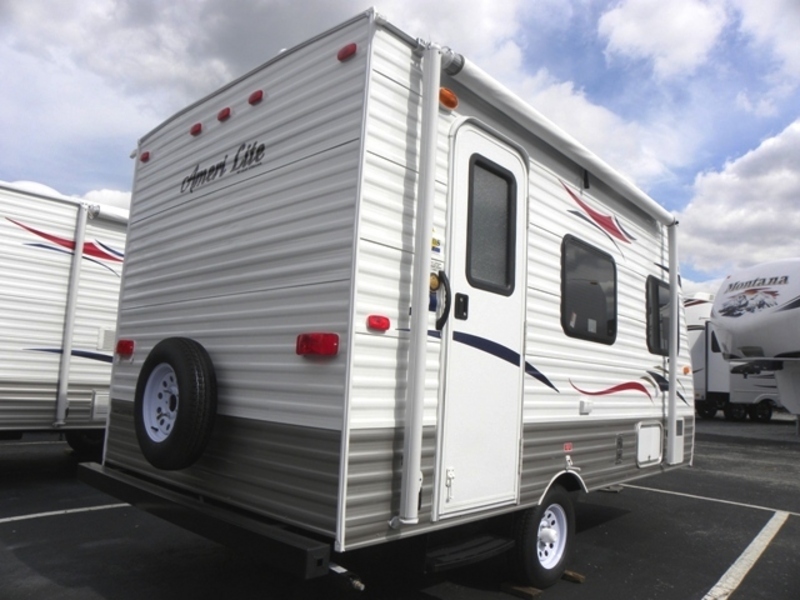 It is so new that it’s not even on the website of its manufacturer, Skyline RV. 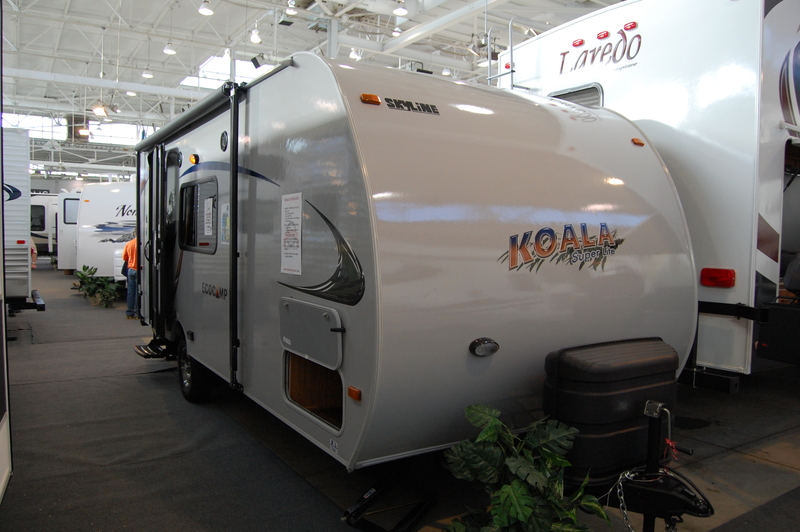 The Koala Super Lite Eco-Camp 18RB is an all aluminum framed, 2800 lbs trailer that overall was a nice little package. 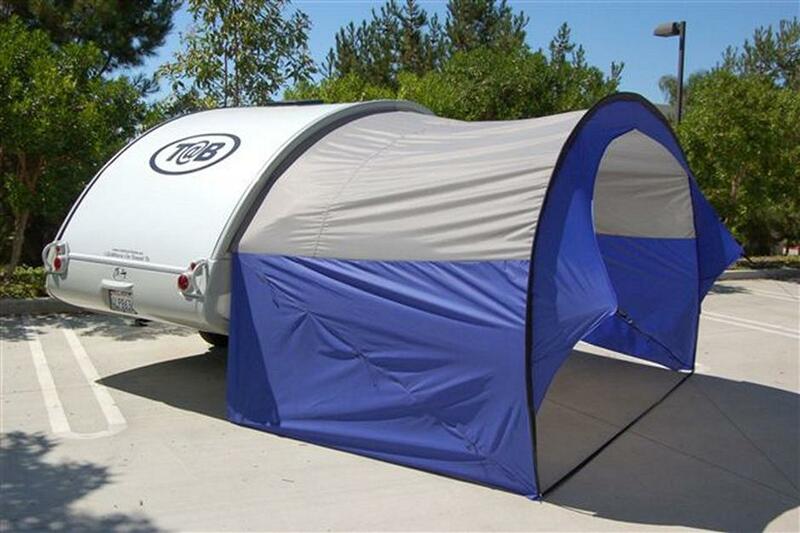 OK, I’m going against this blog’s rule of 20′ or less (the Eco-Camp is 21’9″), but it was the only thing out there that caught my eye. 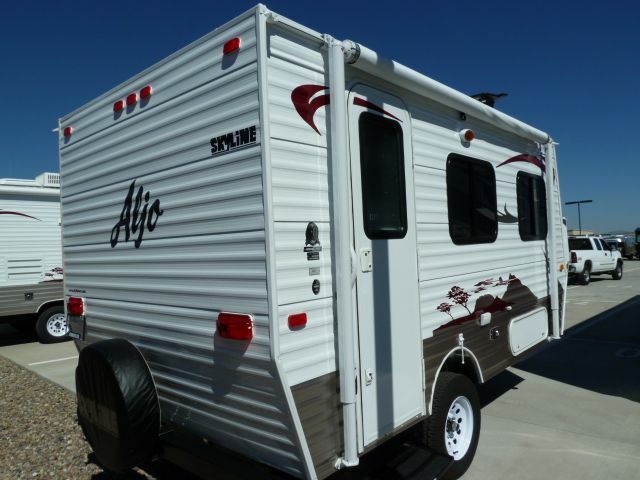 It’s also available from one of the other Skyline family of trailers, the Walkabout. Overall, I was a little bummed out with this show. Fortunately it cost just $6 to get in, so I at least didn’t break the bank. I got word the show up in Cleveland also lacked anything small, so this show wasn’t alone. 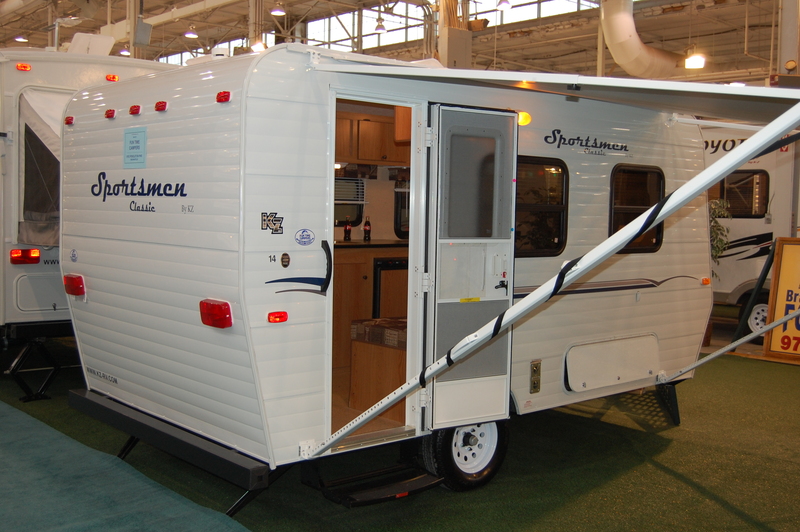 The Indianapolis Boat, Sport, and Travel Show is coming up in about a month, so hopefully I’ll have a little more to report on for us small trailerites .